In Spring 2017, the gardens of the Sue Ryder Leckhampton Court Hospice was yarn-bombed with this beautiful creation thanks to Clare Young and her talented team of knitters - this beautiful creation led to an invitation to create a knitted garden display for RHS Malvern Spring Festival 2018 in support of the hospice. Lovingly created from thousands of knitted and crocheted creations, the special show garden will be raising funds and awareness for Sue Ryder Leckhampton Court Hospice, home to the only hospice inpatient beds in the county of Gloucestershire. The garden is the creation of Clare Young, whose husband Ken was cared for at the hospice. Following Ken's death, Clare took up knitting to help manage her post-traumatic stress symptoms and she began knitting items to sell and raise funds for the hospice. 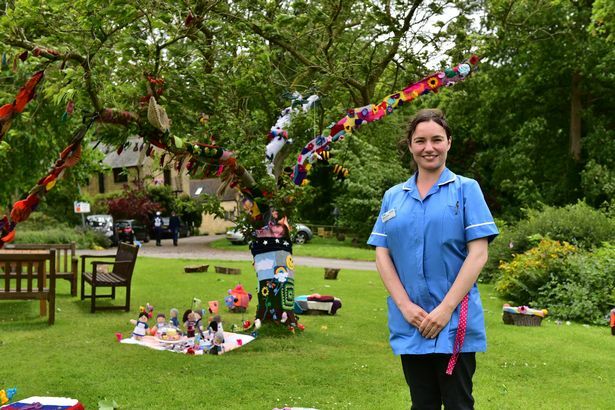 In Spring 2017, she teamed up with a group of friends to yarn bomb a thank you message to the hospice and this led her to receive an invitation to create a special knitted garden display for RHS Malvern Spring Festival 2018 in support of the hospice. The creation has 'wool-balled' with a number of groups, organisations and knitters from across the three counties' area and beyond creating a Work of Heart for the hospice charity garden, where Clare aims to raise £50,000 for Leckhampton Court Hospice throughout 2018, the year Ken would have turned 50.
what is the work of heart garden? 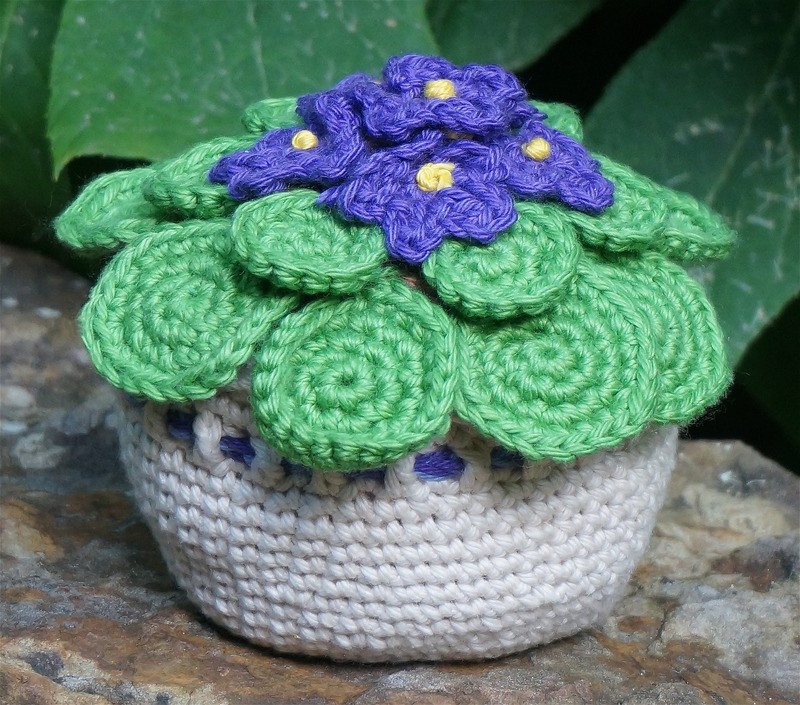 As part of the Work of Heart Garden, 'Works of Heart', small knitted or crocheted, hearts are being created. These are available to place in the 'Work of Heart' garden in return for a donation to Sue Ryder Leckhampton Court Hospice, making this a living and growing display at places where Work of Heart Garden appears. Originally Clare wanted 10,000 hearts but amazingly over 50,000 have been created so far in support! We always need more hearts for our displays so click here to download the knitting pattern and here to download the crochet pattern to create your own 'Work of Heart' in support or in memory of a loved one, or alternatively please make a donation to sponsor a heart! Please also check your postage and weight to ensure that the hearts make their final destination. We would love you to share your pictures of your heart creations with us on Instagram, Facebook and Twitter. Please ensure you tag us and use the hashtag, #WorkofHeartGarden too. and help provide care for families at a time they need it most. 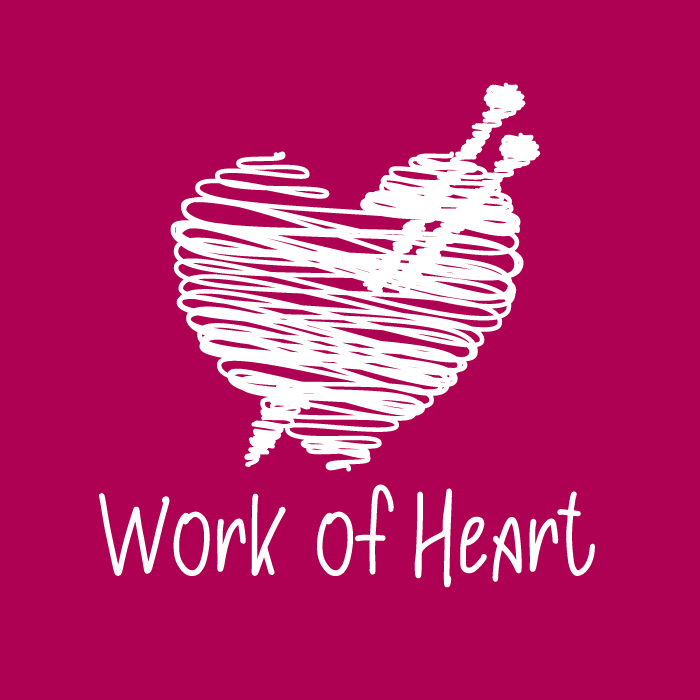 You can sponsor a #WorkofHeart in memory of, or as a gift of love, to someone special for display within the Work of Heart show garden at its appearances. To sponsor, please make a suggested donation of £5 on the Work of Heart Garden Just Giving page, and leave a message for your loved one starting with "My sponsored heart is for". Your token of love and your kind donation will bring smiles to all those who see the garden installation and will help fund more of the special care at Sue Ryder Leckhampton Court Hospice. Sue Ryder Leckhampton Court Hospice provides expert palliative and end of life care for people aged 18 or over. Every year it supports over 600 people and their families from right across Gloucestershire. We first appeared at RHS Malvern Spring Festival 2018, raising just over £16,000 for Sue Ryder Leckhampton Court Hospice. 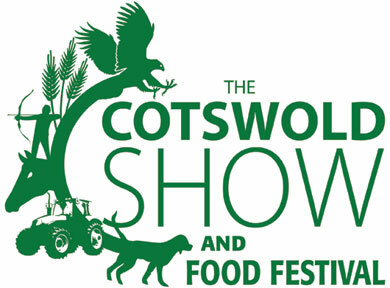 The garden next appears at The Cotswold Show on Saturday 7th and Sunday 8th July 2018, followed by a special month long exhibition at Gloucester Cathedral 1st and 29th August 2018. Please get social with us and follow us on your preferred social network - we'll be showcasing hearts and more, so please get involved! garden is a work of HEart!" Longlevens, Kingswood Abbey, Mitcheldean/North Dean, Hempstead, Chase, Prestbury, Highnam, Ampney Crucis, BMS, Chedworth, Staunton, Chedworth, Oxstalls, Gotherington, Bishops Cleeve, Southfield, English Bicknor, Aylburton. With many thanks to BBC Points West for sharing our Work of Heart Garden on the news recently.